I recently started using three new products from Simple Skincare that I absolutely fell in love with. 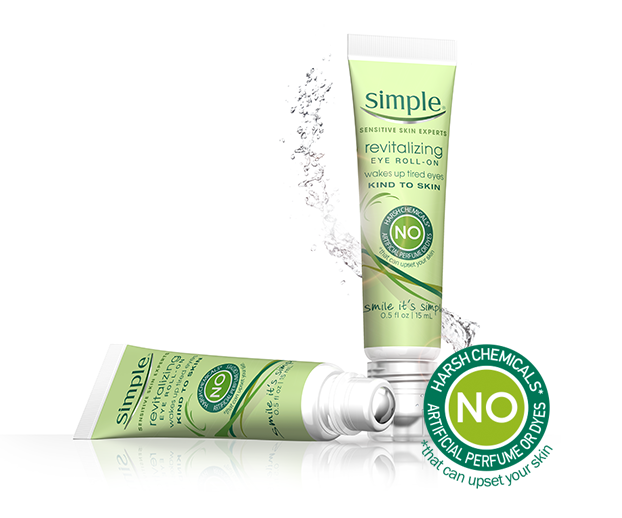 Simple provides quality products that contain no harsh chemicals, artificial perfumes or dyes that will upset your skin. I can certainly vouch for this because I have sensitive skin and these products did not irritate it at all. Read on for the details on each product and enter to win your own Simple products at the bottom of this post. The Simple Prize Pack also includes a gift card to Walmart so you can select another Simple product of your choosing! These wipes are wonderful. 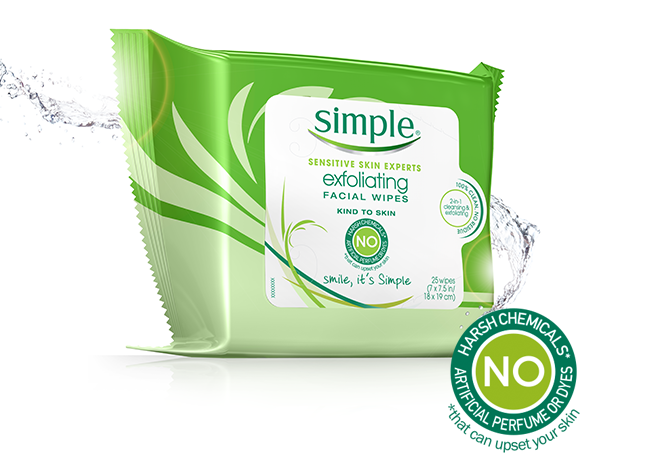 Not only do they effectively remove makeup, they actually exfoliate your face! The textured cloths gently lift dead skin cells to leave your skin revived and revitalized. Love! The Revitalizing Eye Roll-On helps reduce puffiness and wakes up and revitalize tired eyes by instantly cooling and gently massaging the delicate eye area. Just roll on under the eye area and pat any excess into your skin with the pad of your finger. It’s like an instant eye lift. 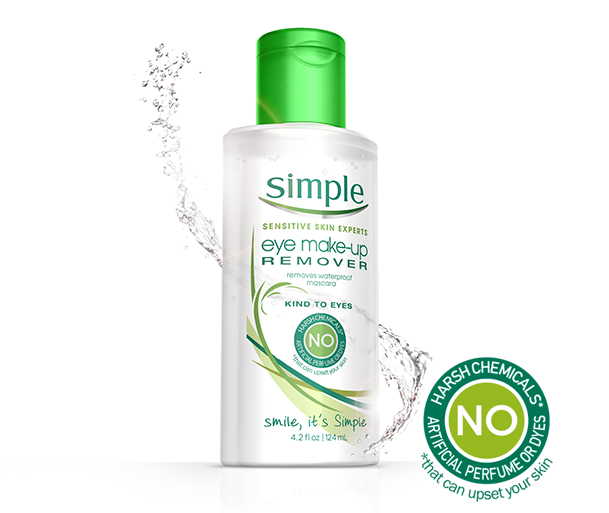 This eye makeup remover can get rid of even the most stubborn waterproof mascara. It is gentle, but gets the job done. And now… the moment we’ve all been waiting for. Giveaway time! Don’t wait too long to enter for your chance to win – the giveaway ends on Wednesday, July 23. See the giveaway widget below to enter! Good luck and get ready to enjoy the skin you’re in!